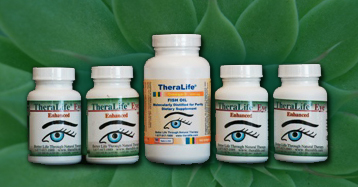 TheraLife has many all-natural products that target your specific dry eye needs. Three Months Supply- for First Time Users. Doctors recommended for first time users with 80% success. This bundle contains 12 bottles of TheraLife Eye Enhanced with 3 bottle of TheraLife omega-3 Fish Oil. You Save $38.00 ! Put your body into balance with TheraLife Eye Enhanced and TheraLife Omega-3 Fish Oil to provide the ultimate approach to dry eye relief. TheraLife Eye Enhanced helps to increase tear volume and regain normal function to the tear glands. TheraLife Omega 3 Fish Oil to reduce inflammation, support tear thickness during recovery. TheraLife strongly recommends TheraLife Eye Enhanced and Omega 3 Fish Oil as an optimum solution for chronic dry eye relief. Enhanced. 60 capsules per bottle. TheraLife Omega-3 Fish Oils is molecularly distilled to provide the highest levels of quality, purity and potency. Use with TheraLife Eye Enhanced to help fight symptoms of dry eye. Every order comes with 1 bottles; 100 softgels. Eye Lid Cleanser Powerful control for Blepharitis, Meibomian Gland Dysfunction, and Demodex. Gentle, refreshing and soothing for everyday eye lid and eye lash cleansing. Effective against a wide range of microorganisms. Contains: hypoclorous acide (HOCL). No buffers, preservatives,or surfactants. Hot Compress for Chronic Dry Eye - Blepharitis/Meibomian Gland Dysfunction Relief. 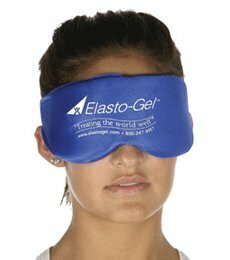 Use it also for night time dry eyes to keep your eye lids closed during sleep. Made of Elastogel for lasting heat retention and easy cleaning. To be used in addition to TheraLife Eye or TheraLife Eye Autoimmune capsules. TheraLife Menopausal Support formula supports normal hormonal levels during menopause which can help to reduce hot flashes, night sweats, and other menopausal symptoms including dry eyes. Theralife strongly recommends TheraLife® Eye Women's Menopause Support in addition to TheraLife® Eye Enhanced as a optimum solution to treat dry eyes in women.